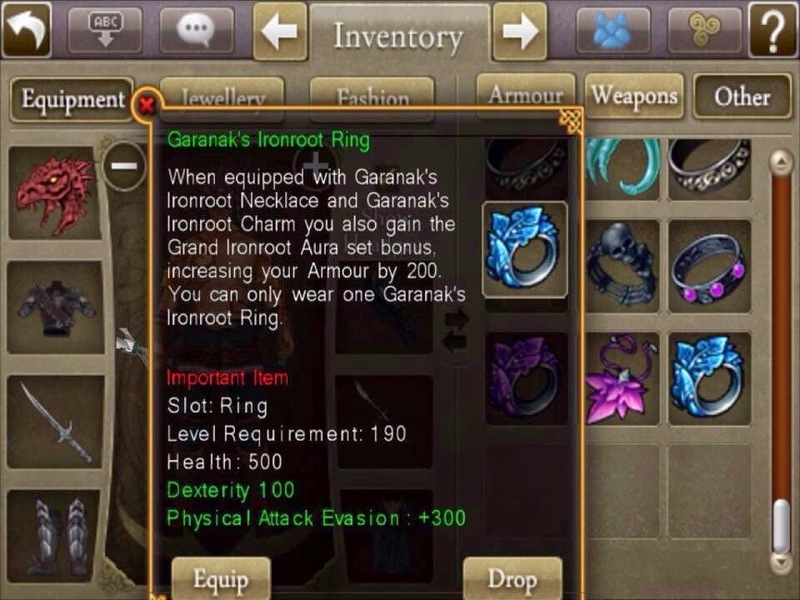 This post is to tell you more about the set jewelry drops from the Skain and Garanak legacy bosses. 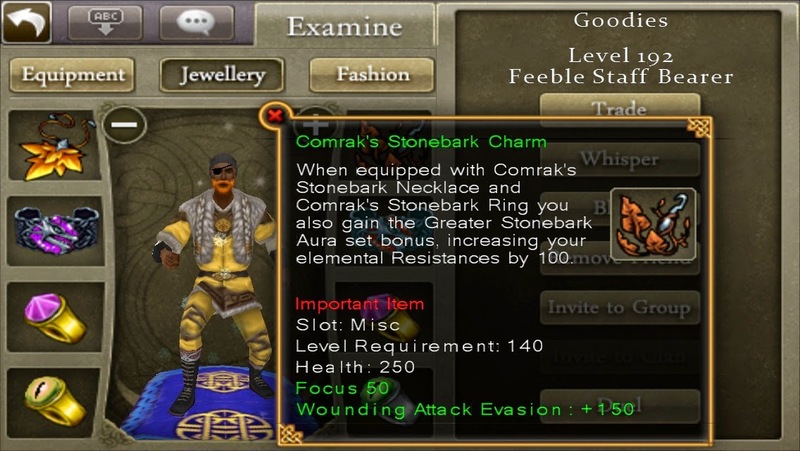 Skain and Garanak drop rings, necklaces and Misc (charms) that when you put a set together, offer an additional stat boost. You can mix and match Garanak and Skain jewelry within that set. For tanking, many warriors tend to augment the set bonus, with other rings that increase their HP, Dex, and resistances. 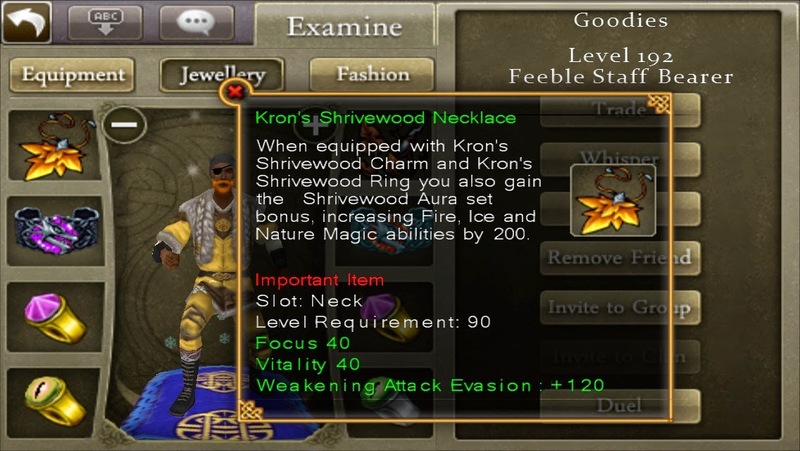 So you may see a tank use an Ironroot set, along with a Garanak Bladeleaf ring, a Skain Shrivewood ring, and aSkain Stormleaf ring. They huse these to maximize their vitality. Other classes may do this too to build up the stat of their choice, but they use it to a lesser extent. Skain Elder: Mordris pit above the ramp everyone waits on for Mordris. Skain casts ward spells (rotation is fire/ice/magic) that heals him whenever that type of magic is cast on him. He recasts a different ward as soon as the active one expires. Skain also casts an AoE crush lure called Splinter. It can be cancelled by a level 6 Ward of Giants. His attacks are crush based. Skain only has two damage skills, but has big auto attacks. Howling Wind helps a lot here. It seems like Skain is weak to fire/ice/magic when that particular ward is not up. Ice mages work best for locking Skain because his first ward is fire, then ice, then magic. Hopefully by the time the ice ward hits, he will be closed to locked. Tanking this boss is really not an option. He hits too hard. It is wise to try and tank him for a bit, but keep bolas on him at all times. Then kite him when the tanks health gets too low. Druids heal tank, and repeat. DPS hits him as hard as they can.